Tax Day Clean Out Special! Records kept beyond their required length of time, become a liability. How long do you really have to keep those documents? *Must be a minimum of 200 box purge. Document destruction is an important part of any businesses information security program. Often in-house attempts to prevent data breaches cause more harm than good. However, outsourcing your paper shredding can provide a secure solution. 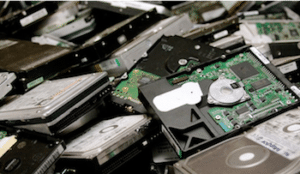 Destruction of your electronic media, including hard drives, x-rays, and other media is the only way to be sure you have fully destroyed the confidential information contained within them. The secure and confidential destruction of such material is critical to your compliance and protection from liability. All Points Mobile Shredding can train your employees on proper document disposal procedures and compliance and assist in development of written policies and procedures so you are compliant with current regulations (e.g., HIPAA, Red Flags Rule, Florida state laws). We also are available for speaking engagements to help educate you and your staff. All Points Mobile Shredding provides NAID AAA Certified shredding and destruction services. We provide you and your business with resources to help ensure you have policies, procedures, and training in place to keep your business legally compliant as well as keeping your business, employees, and clients secure. 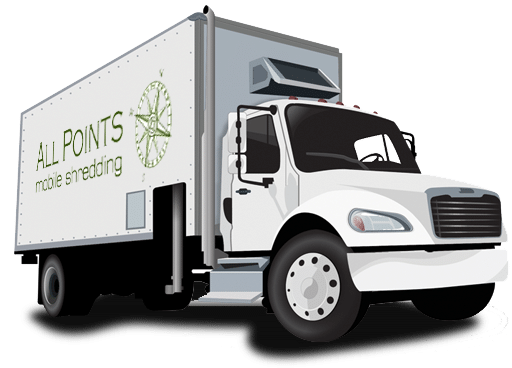 All Points Mobile Shredding proudly plants a tree in a National Forest through the Arbor Day Foundation for each new monthly customer. We are proud of our green initiative and believe in partnering with our clients in caring for our world. All Points Mobile Shredding is proud to serve the Treasure Coast, Palm Beaches, and surrounding areas. We have been serving the community and offering exceptional service in document shredding since 1994. We are a family owned and operated business. Our main focus is on excellence in customer service, providing top-notch secure shredding for our clients, and assisting with information security training and policy formation. The owners of All Points Mobile Shredding, Brian and Dawn Connelly, are long-time residents of the Treasure Coast. Both Brian and Dawn grew up in Palm City, attended local schools, and have deep family ties in the area. They believe in supporting the local community and providing the very best in information security, protection, and service for the residents and businesses of South Florida. We are family owned and operated and have been serving the Treasure Coast, Palm Beaches, and surrounding areas since 1994. We are a NAID AAA Certified Company. The AAA Certification represents the highest standards accepted by the industry. We undergo both announced and unannounced audits to ensure top security and safety for our clients. The All Points Mobile Shredding Team is committed to providing solutions and solving problems for our clients. You can rest assured that each solution is complemented by the personal and responsive service that you can expect from a family business. Our mission is to make document destruction safe, secure, easy and cost-effective. 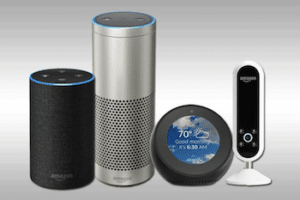 Do voice-activated devices pose a security risk? 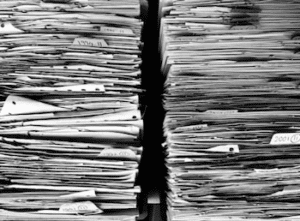 Does your business have a document retention schedule?